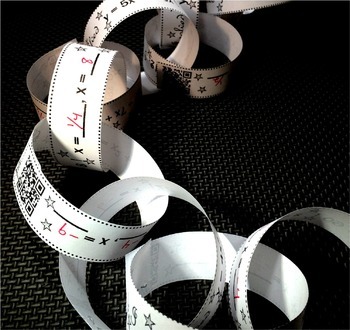 Students solve quadratic equations on each of their 12 strips of paper. 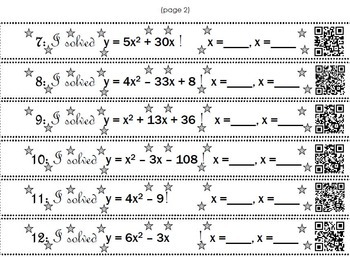 All problems are factorable, however A is not 1 in many so students may choose to use the Quadratic Formula to solve. When a student completes a problem, you can quickly scan the QR code that is on the strip to see if the answer is correct. A standard answer key is also included. 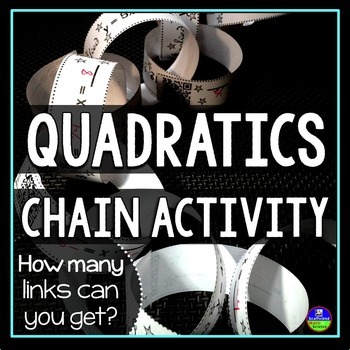 If an answer is correct, the student can turn the strip into a link for his or her chain! This activity has motivated some of my harder-to-motivate students because it allows them to see the amount of work they are doing.